Come and meet our staff. Dr. Morgan Magid, Dr. Andrew Calciano, and Dr. Molly Shields are our Board-certified dermatologists. For office questions, contact our office manager Diane Niles. Morgan L. Magid, M.D. is a Board-certified dermatologist and dermatologic surgeon. He graduated from the University of California at San Diego and received his medical degree from Vanderbilt University School of Medicine in Nashville, Tennessee. He completed his specialty training in dermatology at Northwestern University in Chicago. He is a Clinical Associate Professor of Dermatology at the University of California at San Francisco Medical Center. He is a diplomate of the American Board of Dermatology as well as a member of the American Society of Mohs Surgery. He has been practicing in Santa Cruz since 1988. Dr. Magid is very active in the community and is also the medical director of the Dominican Hospital Gang Tattoo Removal Program. Dr. Magid loves all aspects of dermatology and dermatologic surgery. He loves the game of tennis and has played since age 10. Andrew S. Calciano, M.D. is a Board-certified dermatologist and dermatologic surgeon. A graduate with honors from the University of California at Berkeley, Dr. Calciano received his medical degree from the University of California at San Diego School of Medicine. He completed his specialty training in dermatology at New York University Medical Center’s Skin and Cancer Hospital. He is a Clinical Associate Professor of Dermatology at the University of California at San Francisco Medical Center. 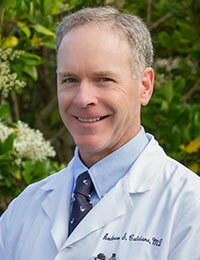 He is a diplomate of the American Board of Dermatology as well as a member of the American Society of Mohs Surgery. 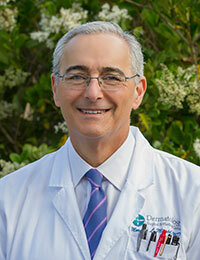 Dr. Calciano loves his work and has a special interest in the prevention and cure of skin cancers. He is happy to be practicing in his hometown where he resides with his wife and three children. He enjoys being active in the outdoors, even when it is sunny. Molly C. Shields, M.D. is a Board-certified dermatologist and dermatologic surgeon. She graduated from the University of California at Santa Barbara and received her medical degree from Tulane University School of Medicine in New Orleans. She completed her specialty training in dermatology at the University of California at Davis. She is a Clinical Associate Professor of Dermatology at the University of California at San Francisco Medical Center. She is a diplomate of the American Board of Dermatology. 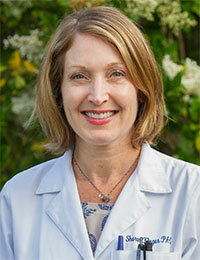 Dr. Shields lives in Soquel and enjoys spending time with her family. She is happy to be practicing dermatology in her hometown. Sharon Kluger MHS, PA-C is a board-certified physician assistant. She completed her undergraduate education at UC Berkeley and her Master of Health Sciences at the Duke University Physician Assistant Program. Prior to practicing in dermatology, she worked for 15 years in family medicine in North Carolina and Virginia. She is an active member of the American Academy of Physician Assistants and the Society for Dermatology Physician Assistants. 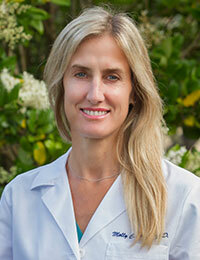 She loves practicing dermatology and is thrilled to have returned to living on the West Coast. PA Kluger moved to Aptos in 2015 with her husband and two sons and enjoys running, travel, and spending time with family and friends. 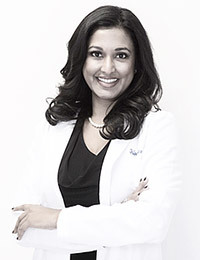 Shilpa Vichare MS, PA-C is a Certified Physician Assistant with 20 years of experience in facial rejuvenation, dermatology, and cosmetic treatments. Shilpa received her NCCPA Certification in 1999 and became a licensed State of California Physician Assistant in 2000. She has completed her undergraduate education at the University of California, Irvine then went on to receive her master's degree and attend the Physicians Assistant training program at Barry University in Miami, Florida. She is a long time Los Gatos resident.